With 342 cars per 1,000 inhabitants Berlin has a remarkably-low rate of motorization compared to other large cities. More journeys are made in the city centre with public transport, on foot or by bicycle than by car. This is also a consequence of continuous promotion of pedestrian and bicycle traffic as well as public transport in Berlin over a number of years. On average, each Berliner makes three journeys per day, and in the process spends about 70 minutes in traffic. An interesting figure is that the proportion of journeys on foot in Berlin is almost as high as that of journeys covered by car. It is clear that inhabitants demonstrate different traffic behaviors depending on where they live in the city. Inhabitants of the Friedrichshain-Kreuzberg and Mitte districts make more journeys on foot than the inhabitants of other districts; for cycle traffic, the highest proportions are found in the Friedrichshain-Kreuzberg and Pankow districts; for public transportation, Lichtenberg and Marzahn-Hellersdorf; and for road vehicles, Reinickendorf and Spandau. Traffic behaviors depend on several factors. Forward-looking traffic planning and policy can create suitable basic conditions to guarantee mobility and the most environmentally friendly transportation possible. A forward-looking traffic policy has the task of creating a sound framework for mobility that is compatible with the city and the environment. The basis for this is the most detailed possible knowledge of data and facts concerning Berlin traffic. 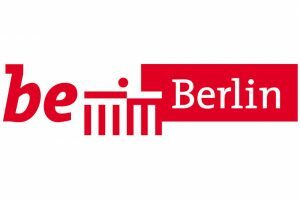 The introduction of the environmental Green Zone in 2008 together with noise abatement measures have contributed towards reducing the adverse effects of car traffic and enhancing the quality of life of all inhabitants of Berlin. The new “Stadtentwicklungsplan Verkehr” (Urban Development Plan: Traffic) sets the course for continuation of successful, modern traffic policy in Berlin. It defines goals and formulates strategies for traffic policy. It takes account of new trends and behavioural patterns against the backdrop of demographic development and other general conditions of large city transportation.